Kate at I Love Socks and Cards blog, chose a Monochromatic theme for this fortnights' Christmas Card Club. While I still had my supplies out on my desk, I have created another Let it Snow card. 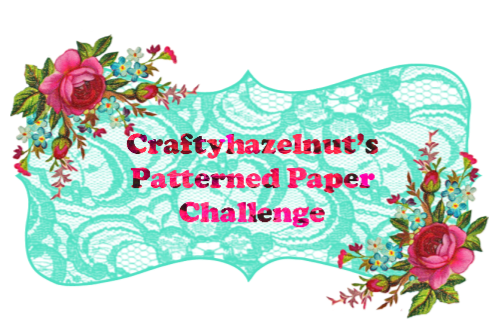 I usually forget to use my embossing folders, but I saw so many lovely embossed cards on my Blogger reader that I was inspired to use one of mine as well. This is another 5 1/4 inch square card, but this time it was created completely from snippets.. The aqua embossed background was created with a snippet of Bazzill 110 pound card and a La Crea Embossing folder. 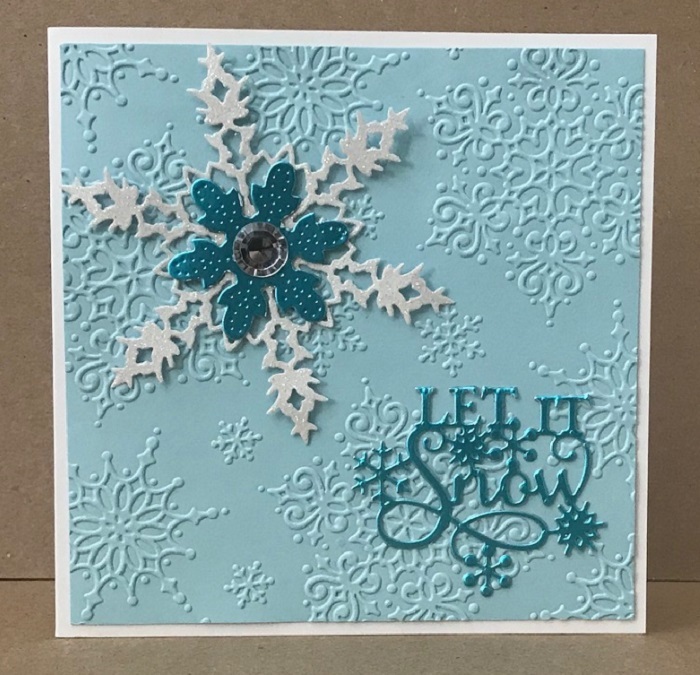 The Memory Box Bianca Snowflake was cut from snippets of white glitter card that were left over from creating 12 card kits of this design for my Langley Stampers Club. I used my last snippet for the Sue Wilson Let it Snow die, and the sentiment is my favourite, tried and true Christmas stamp. A group of 12 ladies get together once a month and we take turns creating and bringing card kits for the others. Although I have had my turn this year, one of our members is very poorly and so I took over her turn. Another lady helped out as well and we each brought 12 card kits. Once I had finished making up all the kits, I had quite a few snippets, let me tell you. So I just kept cutting and making up more kits! They should be great fun to assemble during the coming weeks. One can never have too many finished Christmas cards! 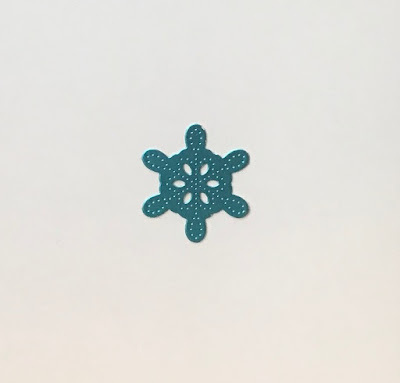 The center aqua mirri card snowflake is Memory Box, Trio of Pointed Snowflakes. 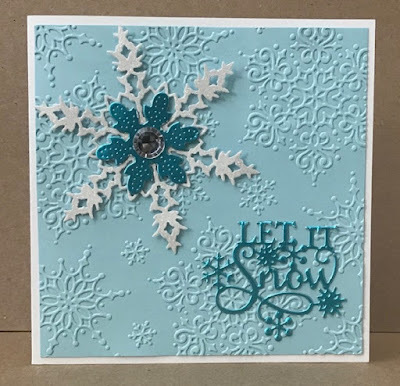 I used some snippets to cut the two smaller snowflakes from this trio, and used the second snowflake on the back of this card. I love monochrome, your card is beautiful, gorgeous colour choice and I love the embossing too! I love this gorgeous card Maureen, the colours are lovely. 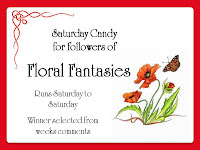 Good for you at using up some snippets on this lovely card! 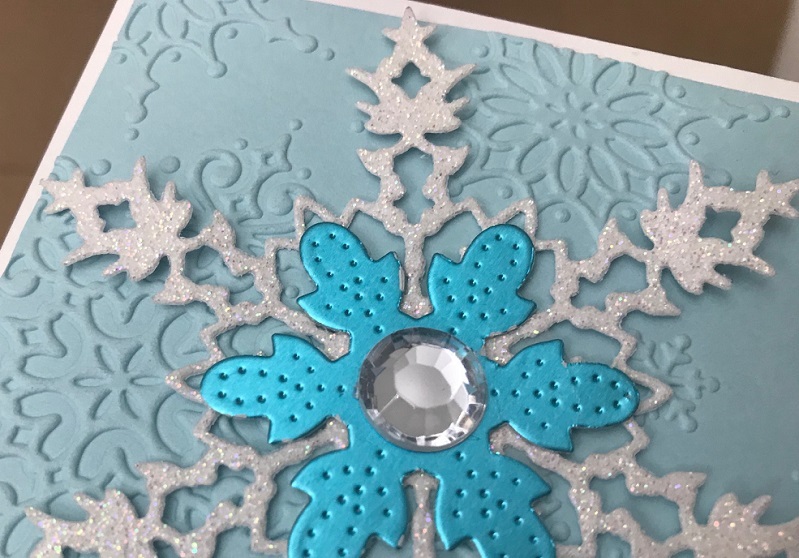 I think the embossing looks great with these pretty snowflakes. Also loving your color choice too! TFS & Hugs. Have a great week. 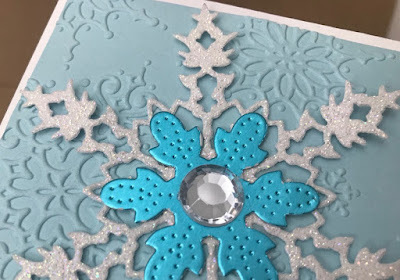 A beautiful card - I love the snowflake EF you've used. A lovely card Maureen, a pretty embossing folder and lovely blues - I always forget to use my embossing folders as well! What an awesome snowflake card. I love the blue and white color combo too. A real stunner is what this card is Mo! I love the sparkle and shimmer and especially the wonderful colors along with your snowflakes! Beautiful card! beautifully made card and that embossing looks to stunning. Love the wonderful colours too. My that sounds like amarathon your card kits. What a pretty card and lovely embossing too. I have so many embossing folders that I forget to use too. Lovely! I like the special papers you used for the snowflake. I've been in the mood to pull out several embossing folders lately too. It's such a pretty effect. So festive & elegant--love this, Maureen! The dry embossing is a wonderful element! 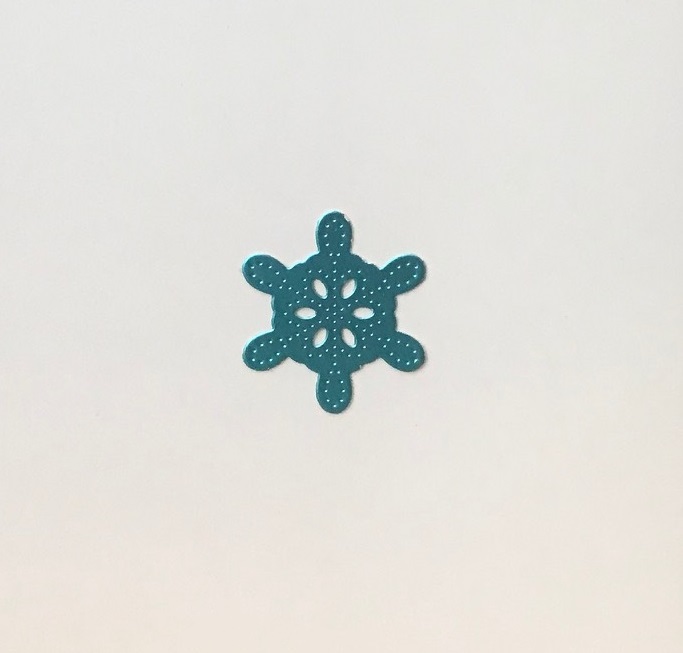 A gorgeous snowflake card. I love the snowflake die that was my Rudolph day prize from you. It really does cut like a dream. Hugs Mrs A.
I too need to use my embossing folders more. The blue enhances the feel of cold and winter. The embossed pattern is beautiful. Lovely card, love the frosty colours. Like you I forget to use my embossing folders but this year I'm trying to use them and my dies !